Living wills and other advance directives aren’t just for older adults. Unexpected end-of-life situations can happen at any age, so it’s important for all adults to have advance directives. 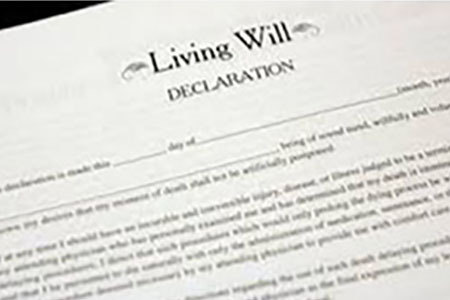 A living will is a legal document that a person utilizes to make his/her wishes known in regards to life prolonging medical treatments. It can also be referred to as an advance directive, health care directive, or a physician’s directive. A living will should not be confused with a living trust, which is a mechanism for holding and distributing a person’s assets to avoid probate. It is important to have a living will as it informs your health care providers and your family about your desires for medical treatment in the event you are not able to speak for yourself. What qualifies as a life for you? What about a ‘meaningful’ quality life? Does artificial ventilation (a machine breathing for you) count as being alive to you? How much disability are you alright with? How much better would you need to get, to want to stay alive? What is most important to you? What is not acceptable to you? What treatments would you want? Would you want palliative care to ease pain and discomfort if you were terminally ill? A living will can’t cover every possible situation. Therefore, you might also want a Medical Power of Attorney to designate someone to be your health care agent. This person will be guided by your living will but has the authority to interpret your wishes in situations that aren’t described in your living will. The Medical POA is a legal document that designates an individual — referred to as your health care agent or proxy — to make medical decisions for you in the event that you’re unable to do so. However, it is different from a power of attorney authorizing someone to make financial transactions for you. A Medical Power of Attorney also might be a good idea if your family is opposed to some of your wishes or is divided about them. None of these documents will do you any good if no one knows about them. You have to talk with your doctor and the person you designate as your health care proxy. Discuss with your doctor what kinds of end of life medical treatments you want. There is another legal document called the DNR, or do not resuscitate order. This is a request to not have cardiopulmonary resuscitation (CPR) if your heart stops or if you stop breathing. Advance directives do not have to include a DNR order, and you don’t have to have an advance directive to have a DNR order. As your health changes or your perspective on life changes, you might reconsider some of your advance directives. 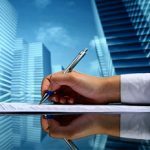 You can go over your living will from time to time to see if you want to revise any of the instructions and have an attorney help you make those changes.